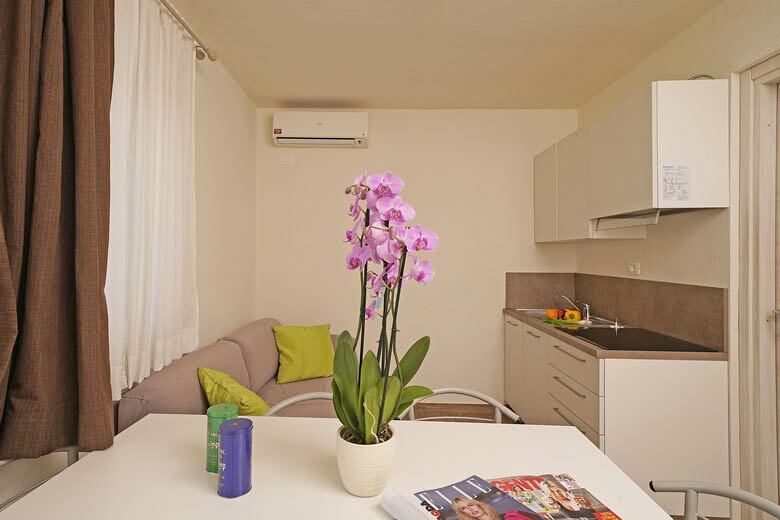 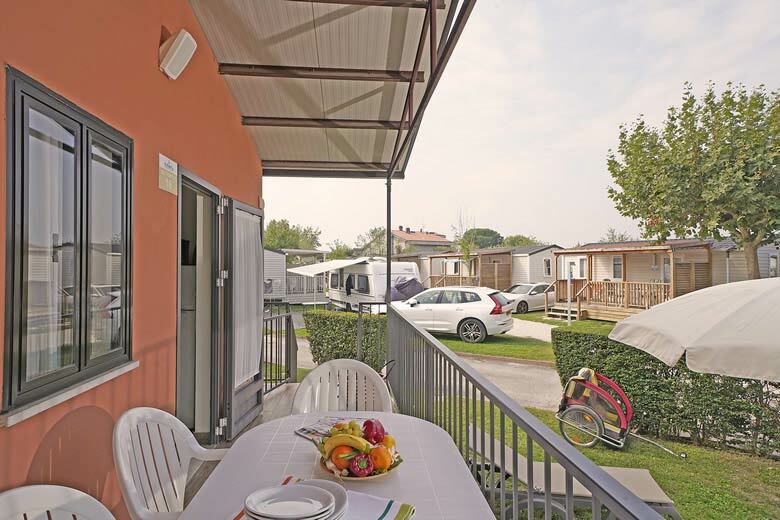 Our village in Peschiera del Garda features spacious and welcoming bungalows appointed with air conditioning and parking space included in the accommodation rate. 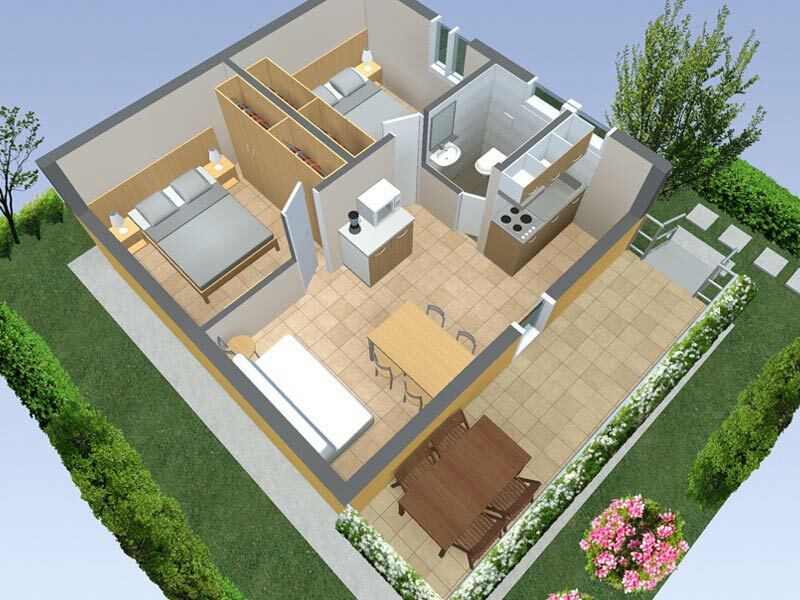 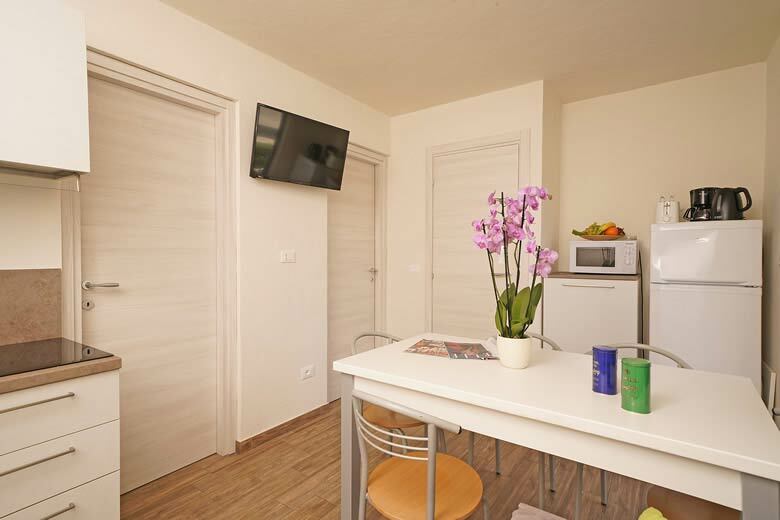 These are three-room masonry apartments with mezzanine level designed to host up to 6 persons. 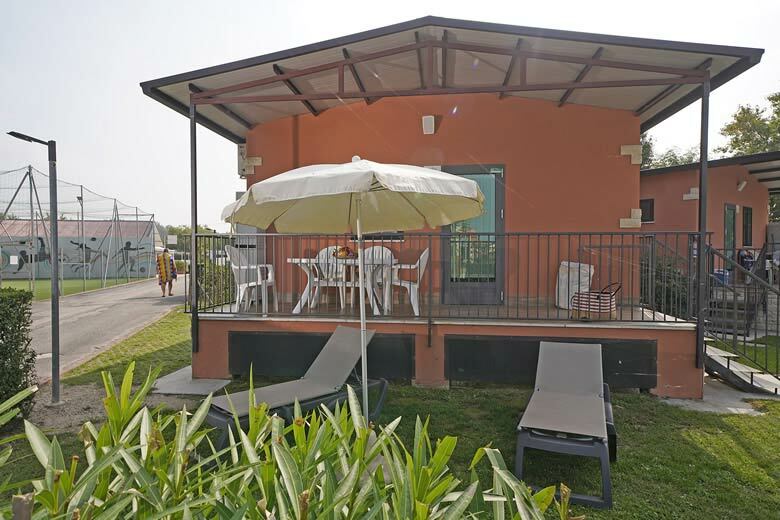 Check out our camping’s bungalows beside Lake Garda and book the one which suits you best!